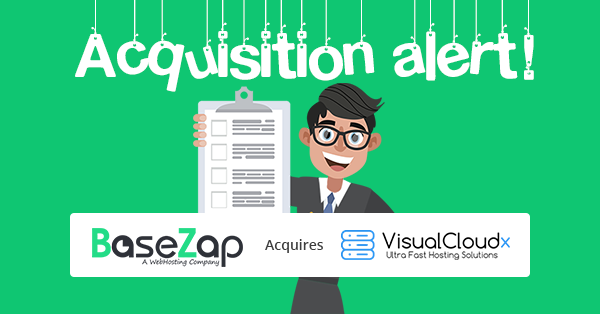 We are delighted to inform that BaseZap has completed their 2nd acquisition and have acquired VisualCloudX. We are all thrilled to see you all here and want to personally apologize for the issues you've been having in the previous days due to accessibility with your former host. All the existing and new customers of VisualCloudX will be moved to BaseZap servers with immediate effect. BaseZap a cloud computing & networking startup, founded in 2014 is known by the customers for their precision and security systems. We are delighted that a large number of customers have been deported to our database and will enjoy lightning fast processing. - and numerous such efficient tools! The efficient server speed and customer support are not accredited to one individual. BaseZap is leading because of the extremely responsive support staff we have today. The same support staff will be made available for all our customers starting today. Since 2014, we've had nothing but spectacular reviews from our customers( which can be found on our facebook page or website). Hassle-free & reliable server systems by BaseZap will ensure no disparity, all the new moving customers from VisualCloudX will have to pay no extra charges. Kindly email us at [email protected], should you have any queries related to this acquisition. Welcome onboard, thousands of new Basezappers!